If you are using Windows Live Essentials on Windows XP, or are still using a pre-2011 version of Windows Live Essentials (including Messenger), starting this week, you’ll see a required update that is rolling out in all 48 languages. 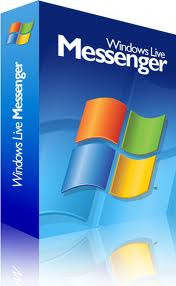 This minor update to Windows Live Messenger and the other Windows Live Essentials programs includes a set of important security updates, performance improvements, targeted bug fixes, and some other minor changes. The update began rolling out last May, but because of the security improvements included, it will become mandatory over the next week or so. The update does not require you to download Windows Live Messenger 2011. This Messenger update simplifies how you start a video call from within Messenger pre-2011. Rather than individually managing your and your friend’s webcam feeds and audio, you can now start a video call just by clicking the “Video” button in the conversation window or by clicking the webcam icon. Also, you can more easily make video calls to your friends who do not have webcams, controlling the audio for both you and your friend by clicking the speaker and microphone icons.